If you’re looking for some great basketball team names to get your players excited, you’ve come to the right spot. Remember, you can use these lists as starting points. Don’t be afraid to improvise. For example, add a color to a team nickname so “The Crush” becomes “The Red Crush.” Or, “The Blue Crush.” Or, add “Lady” to a name for a girls or women’s team. “Shockers” becomes “Lady Shockers.” You get the idea. 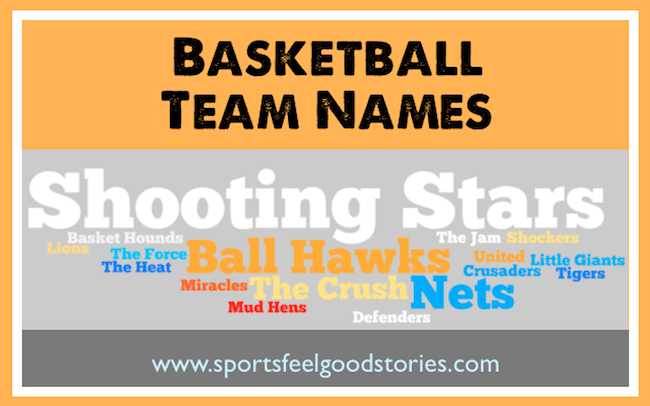 Check out our basketball name lists below. Sometimes you can draw inspiration from professional leagues. 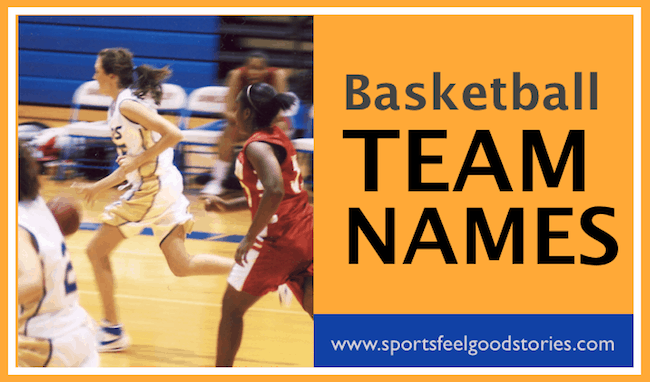 Basketball team names with a professional influence are popular, but sometimes work effectively. Put your own spin on the name. Make it your own. How to Come up with the best Hoops Team Name? Does it reflect the makeup of your team? Does it look good in writing? Does it lend itself well to a logo for your jersey, shirt or pants? The best basketball team names can be counted on to check all or most of those boxes. Who gets the final call on the team name? Sometimes the name is decided on by popular vote after some discussion. Sometimes, the coach decides. Other times, a sponsor may have a say. Usually, the better names emerge and nearly everyone immediately knows they have a winner on their hands. (Add Lady prior to other names from above that you like). Fantasy Basketball – Your fantasy basketball team names can make your squad come alive. A well named fantasy basketball team is what is all about. Well, that, and your record.